The chapter attention is given to fiscal reforms in Slovakia. Reform measurements and their impact on the state budget have been investigated in selected areas of the economy. Reforms are always lively discussed issue. On the one hand, they are reasoned by expert arguments, but also by political ideas and emotions. On the other hand, we must see that the reforms affect all citizens, mainly children, students, workers, unemployed and pensioners. The chapter contains a brief overview of the most important reforms in the years 2002-2006 as well as preliminary impacts on the economy, inhabitants and public finances. The aim of this chapter is to describe the fiscal reforms in Slovakia, to bring close principles that were behind the changes and to evaluate their influence on the country's competitiveness. The aim is to show how economic policy and reforms have changed the socio-economic model in Slovakia and what results it has brought. 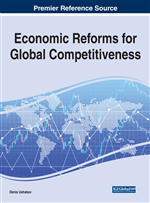 Growth of international competition, imbalance of the world markets of natural resources and raw materials, escalation of political instability, formation of new challenges for modern states and world community as a whole, are making issues on realization of successful, effective economic reforms and adequate requirements of business efficiency, global competitiveness and national social justice, security priorities and economic globalization inevitability sharply actual. For decades, scholars and policy-makers have been interested in how fiscal policy influences entrepreneurship. Until now, research has focused on fiscal policy at the federal or regional level and used macro-economic outcome measures. Considerably less attention was given to how municipal governments can influence economic outcomes at the micro level. De Schoenmaker et al. (2014) examine the effect of municipal taxes, spending and tax compliance costs on firm profitability. The findings reveal that local taxes have a negative impact on firm profitability. Europe was one of the poorest-performing regions in terms of growth, which limits its ability both to exert influence overseas and to satisfy its citizens, particularly because unemployment and inequality have increased in the course of integration process (Dauderstädt, 2007). EU needs a coordinated economic policy in which monetary policy is not exclusively directed towards stability, and with more public investment in innovative industries and continuing expansion of consumption. Zeyneloglu and Koening (2017) provide discussion of the most recent developments in open economy macroeconomics literature on fiscal policy which grown rapidly in recent years. This growth is stimulated by three recent economic trends which are likely to influence the efficiency and management of fiscal policy. First, the increasing integration in international financial and goods markets led researchers to reconsider its impact on the effects of fiscal policy by relaxing the purchasing power and the interest rate parity assumptions which are retained in the early open-economy general equilibrium models. Second, the public debt crisis seen in most of the developed countries led to the analysis of fiscal policy based on better management of government expenditures and to the specification of a debt-financed fiscal policy that internalizes the necessity of a sustainable deficit. Third, the creation of European monetary union and recent global economic crisis raised interest on the gains from fiscal stabilization.